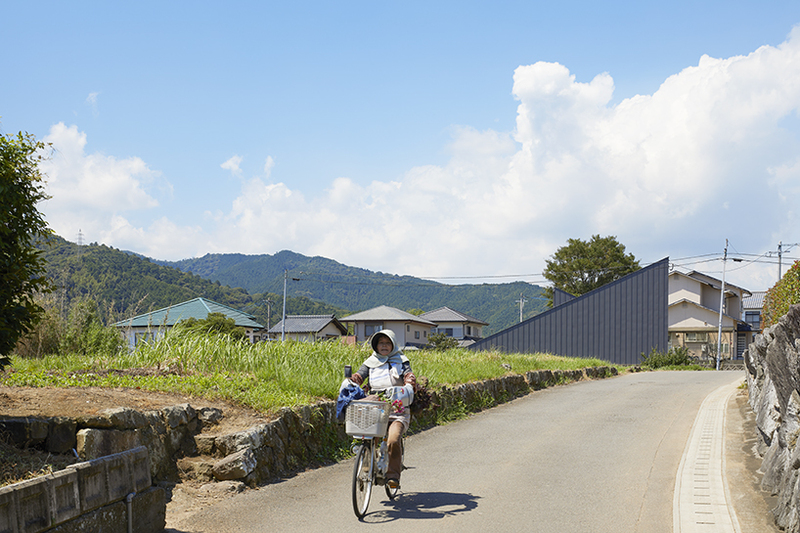 house usuki by kenta eto architects, is a project that aims to harmonize human scale with environmental scale, amidst the rolling hills of usuki city in the oita prefecture of japan. 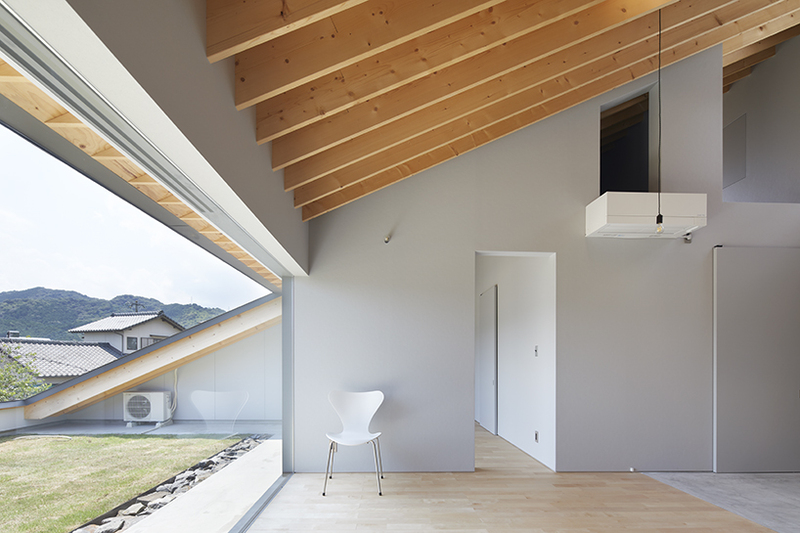 the surroundings are characterized by mountainous terrain and scattered fields and houses. 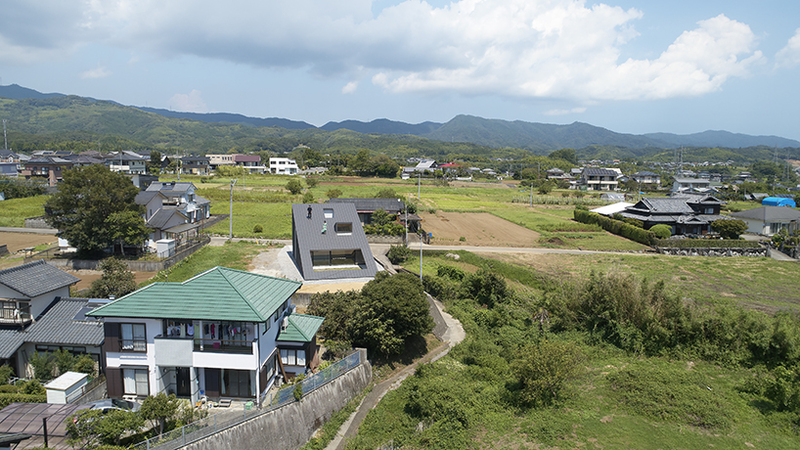 the concept behind the design is to utilise the topography and difference in levels of the site going down from the mountains. 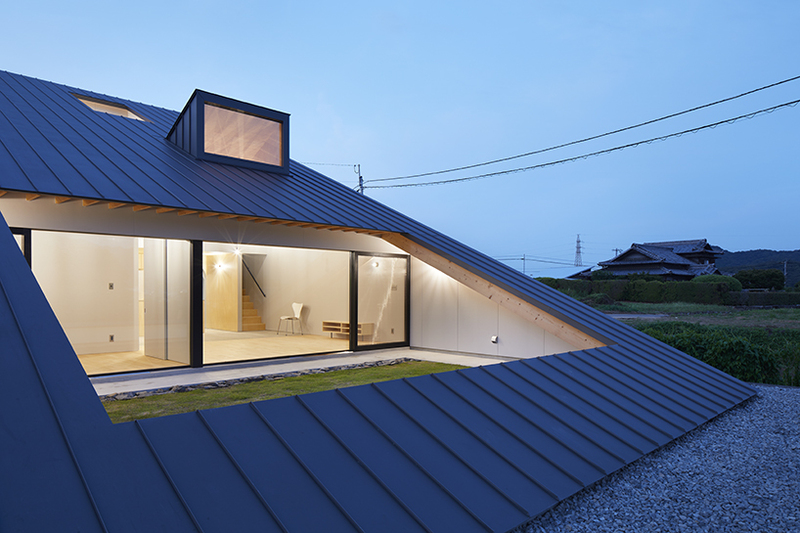 the architect has designed the shape of the building not to disturb the impressive landscape, but instead to be an extension of the environment and topography. 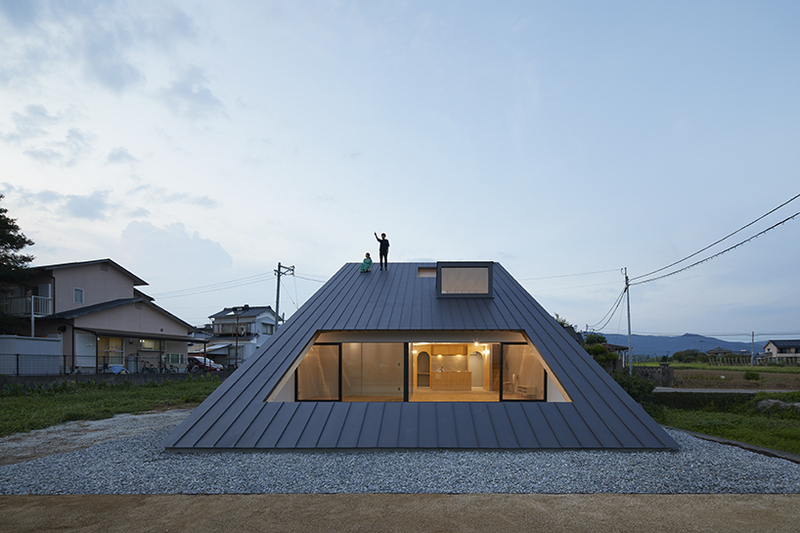 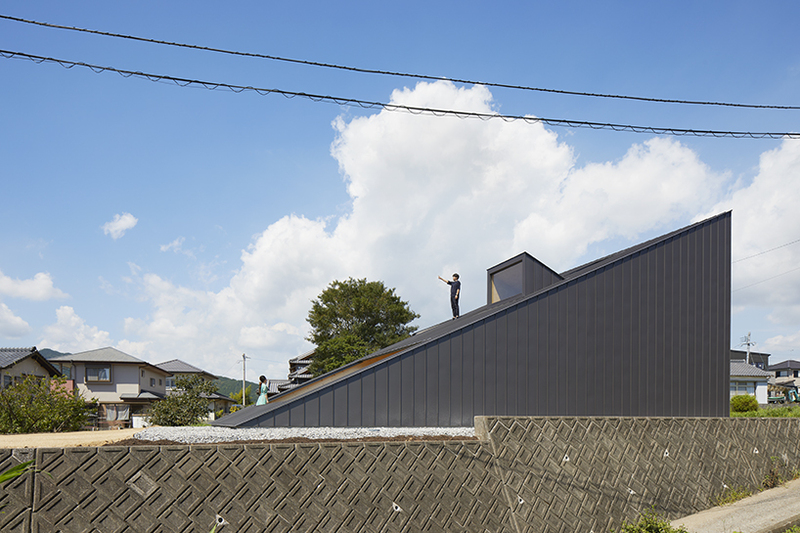 the house appears as a slope that is inclined to about 24 degrees, allowing a person to climb directly up from ground level. 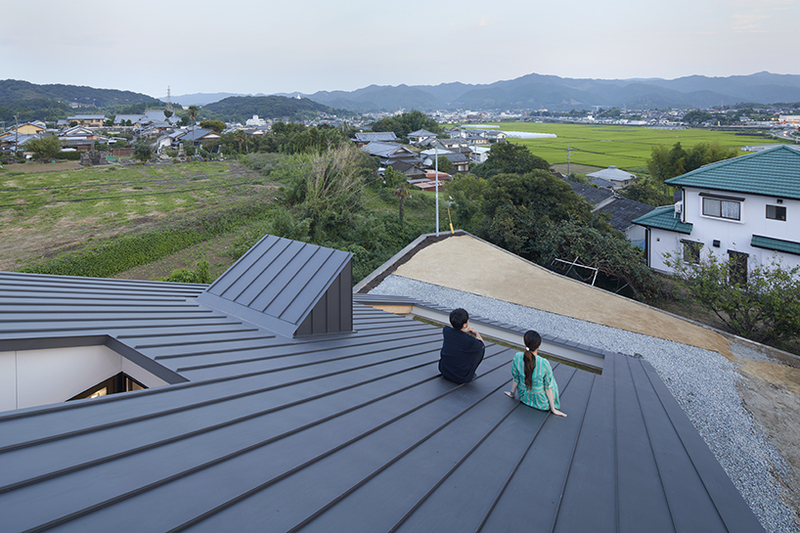 from this point, the slow gradient allows you to sit or lie down and admire the pastoral mountain scenery. 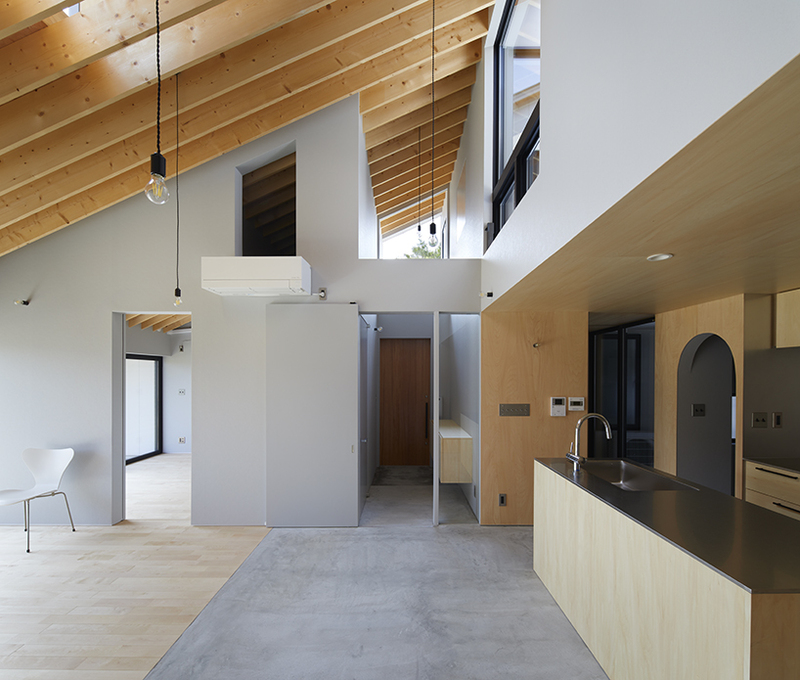 inside the house, the kitchen, living room, master bedroom and wet area are concentrated on the first floor, and the hobby room and kid’s room are arranged on the second. 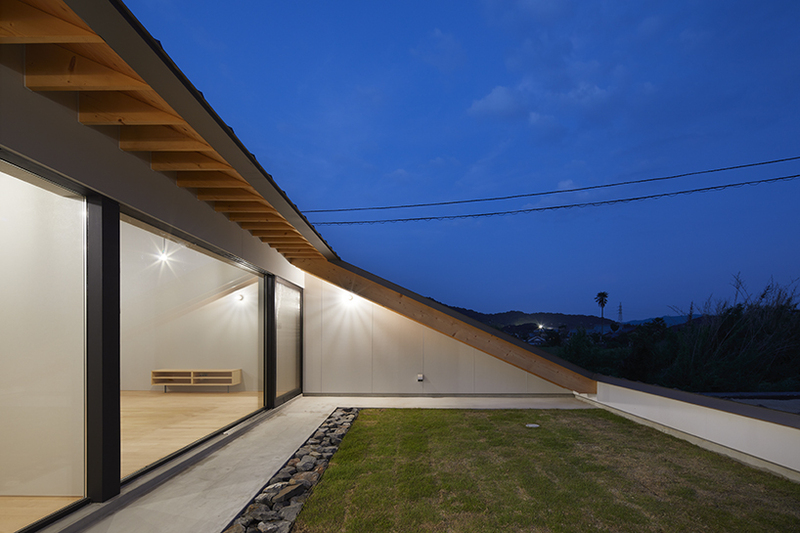 the southern edge where the slope goes down has a large opening that connects the inside and outside in a courtyard space. 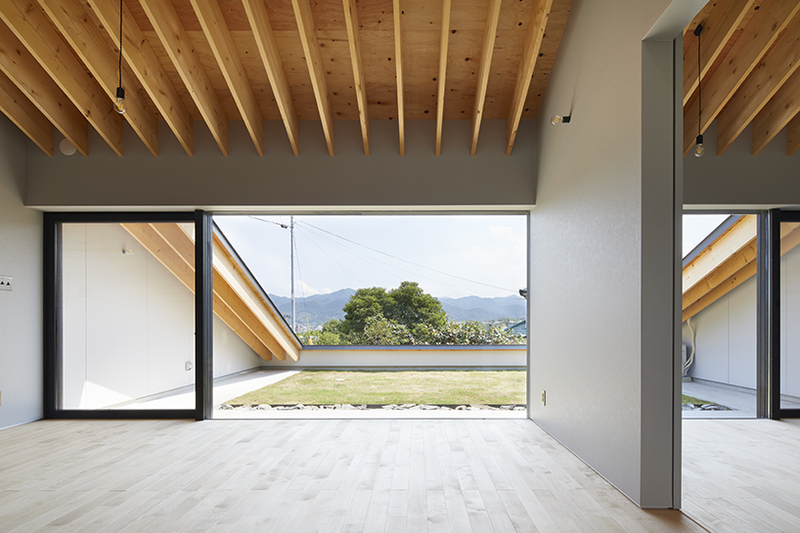 as for the structure, the conventional post and beam structural method has been used as the main element. 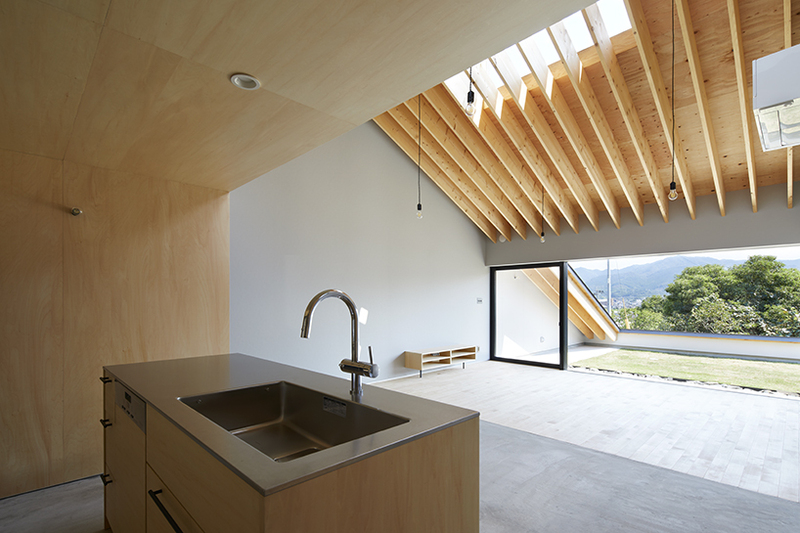 the timber eaves which form the sloping roof are expressed within the interior, resulting in an honest approach to the architecture. 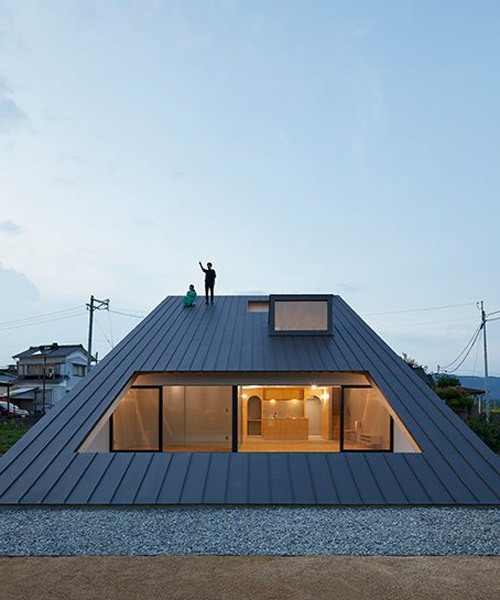 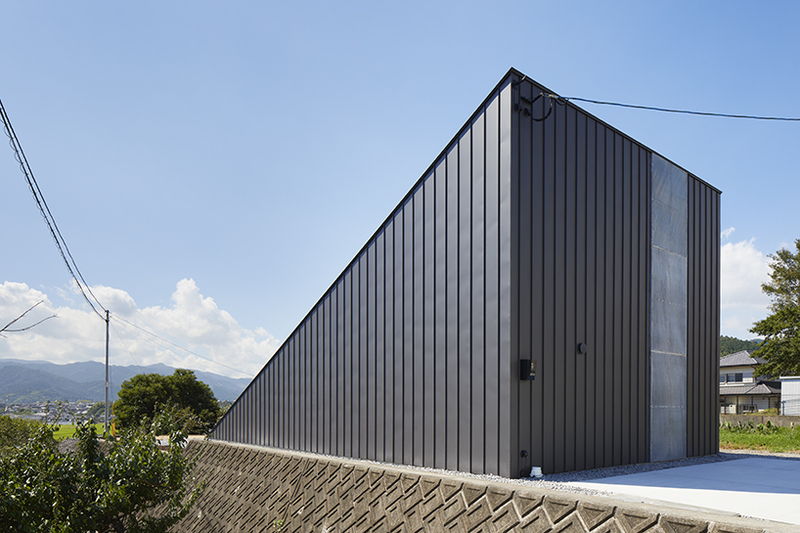 the goal by kenta eto architects is to create a home where human and environmental scales blend together harmoniously.